I’ve been trying to serve more fish to my family. The only problem with this is fish is so freaking expensive right now. Actually, what is not expensive any more? I do all of the grocery shopping, and I look at prices all of the time. Everything is going up! I often joke with my wife that we need to sell our house, and take whatever profit and buy some land, and raise our own animals, and grow our own produce, among other things. Wishful thinking I suppose. Regardless, some nice salmon was on sale the other day, and I decided to pick up a fillet. As I was not certain what I was going to do with it, and as I was leaning towards smoking it, I decided to go another route, and coat this bad boy with a nice mustard glaze. 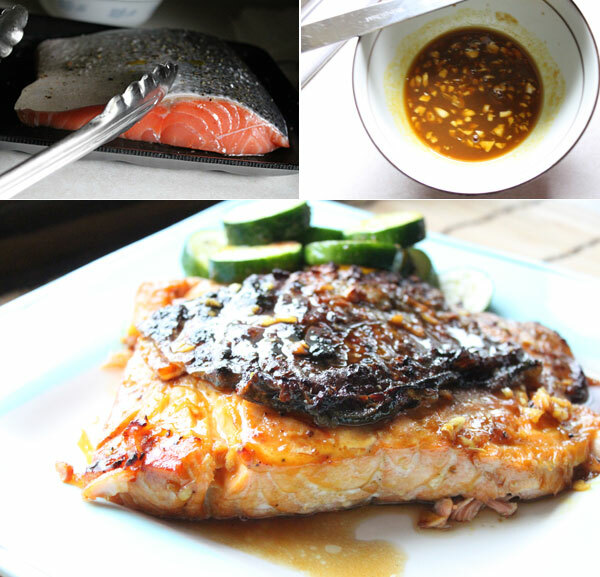 I don’t know what I loved more about this mustard glazed salmon, the glaze, or the crispy skin. Trust me, this was a huge hit with my wife and kids, well two of the kids. Start by adding the mustard, honey, and garlic to a small mixing bowl. Mix really well and set it to the side. Next, heat a large skillet on medium heat. Let it heat until it begins to lightly smoke. Add in the oil, give it a swirl, and then add in the salmon fillet, skin side down. Season with salt. Let this cook for about 4 minutes, then with a large spatula, carefully flip it over. The skin should be nice and crisp. Next, start brushing the mustard and honey mixture on top of the salmon. Continue to brush for the next few minutes. Add in the pad of butter, and swirl it in the skillet. Cook until the salmon is fully cooked, about 10 minutes total. Remove it from the skillet, and pour over any additional sauce. My family devoured this one. As my wife is not a fan of mustard (I did not tell her that was part of the glaze), she loved it. We ate this for dinner, and lunch the following day. I took the honor of eating the crispy salmon skin. I love that stuff. 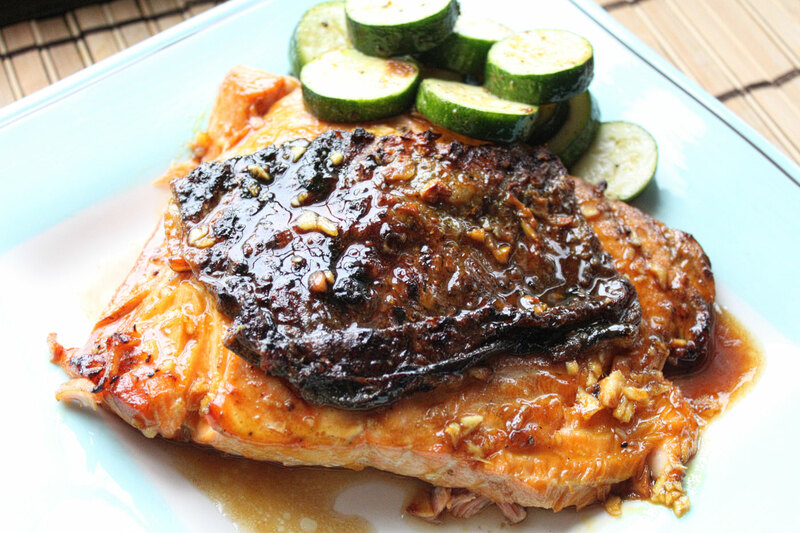 So if you are you looking for a great salmon recipe, give this one a shot. Hope you enjoy!